The challenges that climate change presents to humanity require an unprecedented ability to predict the responses of crops to environment and management. Geographic information systems (GIS) and crop simulation models are two powerful and highly complementary tools that are increasingly used for such predictive analyses. The role of both technologies in predicting future situations centres around extrapolation. For GIS, extrapolation from the past based on correlation in a very loose sense plays an important role. For crop models, extrapolation based on how known processes respond to factors of interest (i.e. simulation) is a key factor. GIS and crop models can be integrated, providing predictions that combine the spatial perspective of GIS with the stronger representation of temporal processes of simulation models. This chapter reviews the use of these two tools for predicting impacts of climate change and examining options for adaptation. Increasingly, downscaled outputs from a range of global general circulation models under differing future scenarios are used as key inputs for both tools. Examples are given for major food crops and key agricultural zones, with a bias towards tropical and subtropical regions. Consideration is also given to factors limiting efficient application of the tools to climate change research. Both technologies will see increasing use in climate change research and in applications of research in decision making. 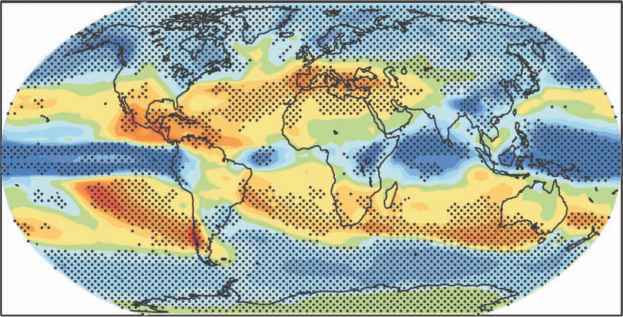 Credible studies of crop responses to climate involve dealing with large sets of data and potentially millions of simulations, especially if adaptation is considered. While the computational challenges are daunting, the greater challenge is how to devise efficient protocols for selecting the most meaningful scenarios, interpreting the results and summarizing outputs for decision makers.